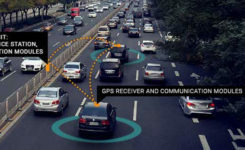 Connected vehicle safety and traffic applications depend on communication, position and velocity information to function. However, road users may have different vehicle communicating and positioning capabilities. Further, the performance of communicating and positioning could vary from time to time and location to location. The vehicle safety system must be fully aware of the performance of vehicle positioning outputs and warn drivers when the positioning system cannot be used for the intended level of safety applications. Minimum operational performance standards about positioning have not been established in the road community. This paper reviews and develops the required navigation performance parameters for vehicle positioning capability in terms of accuracy, integrity, timeliness and interrogability of positioning solutions. 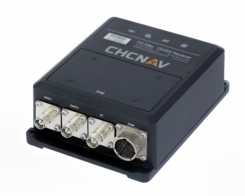 It attempts to adjust the integrity performance parameters for vehicle safety positioning and provide the analysis for integrity risk, protection level and different alert limits. It introduces the error ellipse representation to visualize the protection bubble area of each vehicle on the road. Experimental results demonstrate how different capability levels meet different integrity alarm limits.